On behalf of Admin of JML Law, A Professional Law Corporation posted in Pedestrian Accident on Tuesday, Jul 24 2018. When you decide to go out for the day, you may think it’s a good time to ditch the vehicle and go for a walk. Maybe you want some exercise. Maybe you just want to enjoy the fresh air. No matter your reason for walking, we understand it. There are beautiful views in and around Woodland Hills. In fact, the entire San Fernando Valley is worthy of looking at through the pedestrian’s eye. Whether you are out shopping, enjoying the park, or heading to a restaurant, getting there on foot is usually a safe way to go. Unfortunately, accidents can happen. 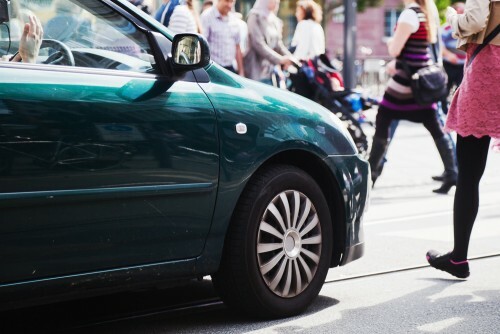 If you’ve been hurt while you were out walking and it was due to someone else’s negligence, you may need a pedestrian accident attorney in Woodland Hills. At JML law, we will go over your case with you so you understand all of your options. Considering how many people are in and around the Woodland Hills area, there are bound to be accidents involving pedestrians, but you never really think about it unless it happens to you. Getting hit by a vehicle while you are walking can be a horrifying experience and can cause severe injuries. Even if you are following all laws and using the sidewalks and crosswalks, you can’t control other drivers on the road and there is just no way our bodies can stand up to vehicles that weigh thousands of pounds. Sometimes a driver is distracted by their phones, maybe sending a text message, and they turn through a red light at the crosswalk and hit someone. Other times, a driver may be impaired by drugs or alcohol and jump a curb into a crowd of people. The most common types of injuries that occur when a vehicle hits a person are bone dislocations, fractures, and soft tissue injuries. Sometimes there are severe internal injuries or even head trauma that can cause lasting brain damage. According to the CDC, over 5,000 pedestrians are killed each year in traffic accidents and nearly 129,000 people are injured. While you take all the precautions necessary, sometimes accidents are unavoidable. Don’t let the negligence of other drivers on the road hurt you financially. If you are hurt and have to miss work, we want to help you hold the person responsible for your injuries. After that, you may need a pedestrian accident attorney in Woodland Hills. Insurance companies will try to contact you quickly for a statement or try to get your medical records, but please don’t speak to them until you seek legal advice. No matter how major or minor the injuries, JML Law is ready to help through this process, from handling insurance companies to medical claims. You can contact us by clicking here or calling us at 818-610-8800.